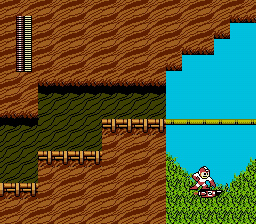 NES Mega Man 2 (JPN) in 25:34.65 by Morimoto & FinalFighter. This is the much-awaited new fast completion (TAS) of Rockman 2, which took almost a year to make. The movie was played originally by Morimoto, until Finalfighter took over and replayed a few of the earlier levels and completed the Wily levels on his own. Timewise, this movie is almost 3 minutes faster than the previous version. It involves tons of glitches that have been precisely calculated in order to attain the fastest possible completion time. The homepage of this movie and its related material is at http://www.globetown.net/~rockmovie/ (Japanese, with parts translated in English). There are many more glitches / tricks in the game than are utilized in this movie, but most of them are slow and not worth performing in a run aiming for speed. Note: As per the author's wish, please do not republish this movie (and AVI files made of it) on sites that make money with their content (by advertising etc).